I hate when magazines and websites (and scammers) offer a list of companies that offer telecommuting. In my research for telecommuting jobs, I’ve encountered several sources that provide lists of companies that offer telecommuting as an option for their workers. I have to be truthful; when I see these lists I get hives. Because two weeks later I get e-mails from dozens of would-be telecommuters that inundated said companies with resumes. The e-mails are full of complaints about how bogus the list was and questions on how people quoted in the articles even "got" their telecommuting jobs. I'm not knocking the information provided in these wonderful articles, some of these lists are well researched and pretty accurate; many companies do provide employees with the option to telecommute. But the problem is this: do these listed companies have any job openings right now? When I search for work-at-home opportunities, I’m more inclined to look for “job openings,” not just companies that are known to offer telecommuting, and there’s a valid reason for this. Before I state my reasons, let me illustrate them. Let’s just say that there is a company called R&M Inc. R&M Inc. have an excellent benefits package and pays one-half of child-care costs for its employees. Pretty great huh? It’s widely known throughout the community that they pay $12.00 an hour, on average, to entry-level workers. Now, let’s suppose I have two small children in day-care. Cool place to work, right? One of my caring family members suggest that I apply for a job at R & M Inc. After all, the company pays well and with two children, I could definitely use their child-care benefits. Sounds logical. However, what my family and friends don’t realize is that R & M Inc. is a manufacturing company. Therefore positions available are strictly assembly jobs. Now, what if my skill and experience lends toward office work? What if I’m accustomed to a salary of $16 an hour opposed to the offered $12 an hour R&M Inc provides? You’re starting to see the light, this is a bad match. Let’s examine the situation further. R & M Inc. has a one-way commute time of 45 minutes from my home -- not good, especially for a mother of two small children. They have no administrative jobs open and they usually don’t because employees in those jobs stick with them – it’s a really great company! To top it off, the fine print on R&M Inc.’s benefit policy says that employees do not receive child-care reimbursement until two years of full-time employ or 6 months of employ in a management position. If I had listened to my friends and family without examining the opportunity myself, I would have changed my profession. I’d also have had commuted almost an hour and a half round-trip every day and be forced to wait two years (when one of my children begins kindergarten) to get a cut in child-care costs. Instead of chasing a “benefit," I should look for positions that fit my experience and skill. Within the many open positions I find, I should then look for a particular “benefit” that suits me . . . like child-care reimbursement . . . or telecommuting. So you see, when applying to companies on a telecommuting list, you must first determine if the company has a position that you can fill. If you send your resume to the company without first finding this out, your resume will end up in the circular file (the trash can). Also, what many wanna-be telecommuters don't understand is that many companies only offer this option to veteran employees (employees that have been employed by the company over three years) or special employees like managers or executives. Many companies will not even entertain telecommuting for those in the clerical staff or entry-level positions. Do you see the dead ends in this avenue? That is why I am more inclined to search for actual job openings that state that the employer is open to work-at-home options. When I send my resume to these positions, I can rest assured that the employer is considering my resume, there is an open position, and that it will allow me to telecommute. Because if you really think about it, companies are not looking for telecommuters. Companies are looking for competent employees that can do the job with very little training and make them a profit. No employer ever says, “Gosh, I have this open position and I don’t want to see another employee, I think I’ll hire a telecommuter.” It just doesn’t work like that! So, now you understand why I prefer a good, old-fashioned job announcement with a title, duty descriptions and a request for a resume. Lists of companies are only the beginning of your job search. Once you have the list, you will have to contact each company, visit their website, and examine all their job vacancies. When you finally find the one job that you can fill, that also states it is telecommutable (hey I made up my own word, I should trademark it!) – then your search has ended. Or perhaps, it’s all just beginning! Why are they trying to scam moms? Let me illustrate my comment so that it’s a little more clear to you. Imagine you are on a small fishing boat that somehow tipped over. You’re floating in the ocean clinching a flotation devise. There are a couple of people holding on also, but unbeknownst to you, one of the people in your group is bleeding. As anyone who is aware of the movie Jaws or watches shark documentaries on the lDiscovery Channel would tell you, blood in ocean water is a really, really, really bad thing. Because, you guessed it, sharks are going to smell it and true to their nature -- attack. We can’t really blame the shark; he’s just reacting in the way nature made him. So how do we deal with this situation? Well, most of us know not to bleed in the ocean. Desperation, your desperation, to find a quick telecommuting job is like bleeding in the open seas. Every scammer in a fifty-mile radius is going to smell it and circle around you, ready for a feeding frenzy session. To illustrate my warnings, I invite you to leave messages with these statements on any appropriate bulletin board or message board and watch your e-mail box fill up with offers and telecommuting opportunities that require some type of fee or payment to get started. When you use ‘desperate words," you have just jumped into the ocean with an open wound. Second, use logic. Ask yourself, if the person contacting you about a telecommuting opportunity is acting like a regular employer. An example of this logic would be when you get an opportunity to work but the "would-be" employer requires a fee to get started. Ask yourself, "If I was applying for a similar conventional job (one with a regular commute) would I give that employer money?" Third, find patience. Sharks (uh, excuse me, scammers) love people wanting to get a telecommuting job now . . . today, or they will not be able to save their house, meet the bills, feed their kids, etc. I ask another question. How long does it take to get a "conventional" job? I don't know about all of you, but it would sometimes take me weeks or months and dozens of resumes before I received an interview for a regular “commuter” job. Well, I'm here to give you some bad news, it takes three times as long to find a good, legitimate telecommuting job. So, being impatient in your job search will just create desperation. Thinking that you can find legitimate work overnight, opens another bleeding wound. Don’t let anyone know how desperate you are. Stay away from writing or saying desperate statements. Use logic. Assess any telecommuting offer. Have patience. Nothing of worth happens quickly. I am looking to telecommute or work-at-home. I have no idea where to start or what to do. I am willing to go back to school, but I don’t even know where to start. Do you have any suggestions? If you don’t know where to start then how in the heck do you think I would know? Sounds flip, huh? But really it’s not. The question above is actually a representation of many people crying out for help, when instead they should be looking inward. Basically, this person is asking someone else, someone outside him/herself to make a Life Choice for them. Unfortunately, no one can answer that question . . . no one can do that but you. You must decide what you would like to do with your life and how you are going to do it. No one else can direct you in this. It comes down to asking yourself some very hard questions. I created a helpful list of steps and questions that I found myself asking wayward friends looking for their wise man and searching for that “something” in their lives. 1. List all the things that you like to do. Not all the things that you can do, all the things that you like -- that give you joy and purpose. Actions that when you’re doing it you say, “This is okay, I don’t mind doing this.” And yes, everyone has this “thing." Don’t give me bull about not having anything that you like doing. If you enjoy mopping the floor, write it down. Taking baths, yeah, write that down too. Picking your nose . . . whatever, don't analyze it -- just write it down. 2. List all the things you do well. Yes, this is a different category. There are many things that I do well, but I don’t like doing. For instance, I change diapers really well. I am the epitome of efficient time and effort when changing a baby. Even though I’m quick, the child comes out of it comfortable, happy, squeaky clean and smelling of fragrant baby lotion. I hate doing it. I hate the smell, I hate the filth -- I hate every aspect of it. But I’m darn good at it nonetheless. I would put “changing stinky diapers” in this list. 3. Are any items on either list the same or compatible? Really look at your lists. Take five to ten quiet minutes and figure out if you can combine several of these tasks or if these skills are at all complementary. If you find one, two or a few things, you have potential success. If you have something on your lists that you do well and you actually enjoy doing, then throw your pick over your shoulder and shout, "Eureka!" 'cause baby, you stroke gold! 4. (Now for the hard part) If you find something compatible from both lists, how can you make this interest a job that you can work at home? Could you find employment in this endeavor? Research this. When I say research, I mean really research. Get on the Internet and go to a mega-search engine and type in the correct terms. Then really read. Take a pad and pencil out and write notes as you are reading. What company names keep coming up in these discussions? Look up these companies websites to see what type of jobs are open in this industry. 5. If it looks like employment is not an option, could you open a home business using these skills? Again, research this. Jot down ideas. Are there businesses that supply services or product in this realm of possibilities? No? Good! You may have found your niche. Join a few discussion boards on this topic. Your goal is to ask them: "Do they know if there is a need for the service or product you have in mind?" Congratulations, you have conducted your first market research! Yes, it’s as easy as that. 6. If you find a way to stay at home and do this thing, do you need additional training to bring yourself up to speed or make you look appealing to employers? Ask yourself: What skills would you need? Could you learn these skills on your own or would you need classes? How long would it take to learn these particularly skills. 7. 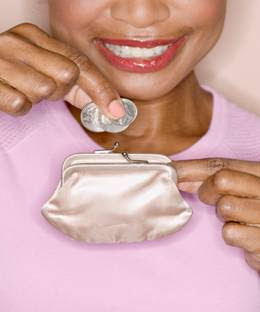 What type of money do you need to take care of yourself and your family? Add up all your bare-bones expenses. Cut out cable, the second car, etc. -- only the necessities please. Be real here. What money do you need to survive? What do you need to keep a roof over your head, food in your belly, water and heat in your house, and a bus ticket to do the chores? That amount is your rock-bottom salary. You can accept no job below that amount. 8. What type of money do you want? Wishing on a star is not futile. You will be surprised how easy it is to make money when you have direction. Focus. What will actually happen is you’ll do much better than bare-bones and maybe not quite meet the fantasy, but anywhere in the middle is satisfactory don’t you think? 9. What obstacles do you see in this path’s direction. Know thy enemy -- and kill’em off! Brutal, but the obstacles that cause you to stumble, are the obstacles that you are not aware of. Notice I used the word aware. Seeing means identifying, marking, knowing details. You don’t have to know all the details of your obstacle, just having an idea what’s out there is enough. 10. How will you overcome these obstacles? It’s time to consider your future actions, your game plan, and the contingencies. Your game plan can be a simple answer like: "When I find obstacles in my way, I'm going to go around them, over them or under them but I won't them stop me." Yes, a simple statement of intent is fine as long as there is an intention. This is the road to empowerment. If you don’t know where you’re headed, you’ll end up nowhere or anywhere . . . but this I know, you’ll never end up where you want to be. You have to start this path with asking yourself some hard questions. In the answers is the focus and direction you need. When you focus on the goal and look at all the details, the direction and the opportunities are more evident. Within this search for direction, you will find your own answers . . . you are your own wise man. "When looking at telecommuting job ads, how can you tell the scams from the real thing?" Someone left this message on my discussion board and I thought it was an excellent and thoughtful question. My answer is simple; there are seven rules that weed out the scams from the legitimate jobs. Follow these rules and the scammers will poke out like purple roses among a field of daisies. Rule 1: REAL employers ask for a resume and provide an address, a website, an e-mail address or/and a fax number to send that resume. Real employers rarely list their phone number as an exclusive contact method. Rule 2: REAL employers expect skills, knowledge and experience from applicants and usually want proof of this via resume, samples of work, references or/and interviews. If you are not asked for one of these things, proceed with caution! Rule 3: REAL employers rarely advertise "NO EXPERIENCE NECESSARY." Instead they use the term "entry-level," and most employers do not offer telecommuting options for entry-level positions. Why? Think about it, it's difficult enough to train the inexperienced person "in" the work place. It's nearly impossible to train someone from a distance and provide sufficient supervision. Rule 5: REAL employers don't advertise unrealistic salaries. If you can make $2,000 a month part-time (20 hours a week) you would earn $25 an hour. When have you ever come across an entry-level position that pays $25 an hour? Do the math! Rule 6: REAL employers don't ask for money. They ask for your resume. Don't ever pay for a list of companies hiring telecommuters, because employers are not looking for telecommuters, they are looking for skilled and experience employees. A real employer will never require an employee or a "potential employee" to purchase a "kit" of information, you are looking for a job . . . not a lesson. Never pay for required materials that you can't purchase from a third party. If you can only purchase the materials for the employer then they're scamming you. Think about it, most employers use materials and tools that are general to the industry. Rule 7: REAL employers never start their ad with phrases like WORK AT HOME. They are not interested in finding a person "at-home"; they're interested in finding an employee that will get the job done. Legitimate jobs use headers that describe the open position like SECRETARY, TECHNICAL WRITER, etc. Usually the option of telecommuting or working at home is listed last -- almost like an afterthought. Now, you know The 7 Rules of Legitimate Telecommuting Opportunities. Go back up to the two classified ads at the beginning of this article. Which one is a scam? Which one does not fulfill the rules? Keep these seven points religiously, and you will most likely field all the scams that come your way. From 1998 until 2003 I wrote many articles and promoted a book dealing with the topic of telecommuting. Since then I have worked tirelessly as a telecommuter with several employers -- I like working "on contract," it gives me the diversity and freedom I constantly crave in my work. I would like to continue helping others find work-at-home jobs and so, I plan to talk about this opportunity extensively on this blog, thus the title . . . Telecommuting Millionaire. But before I jump into specific telecommuting topics that I'm just itching to tackle and share with you, I thought I should lay some foundation and let you read some of my classic telecommuting articles. 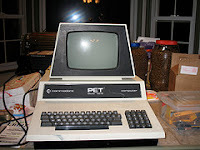 Once you have read those, then I think you will be well prepared for some of the more detailed problems and issues that a telecommuter and "potential" telecommuters face. I am currently working on updating and revising my book, The Real Deal on Telecommuting and plan to offer it again soon (if there seems to be any interest in it later). Let me know if this is a good idea or not. I hope you enjoy reading my old articles on telecommuting. Rest assured that I am just itching to write about all kinds of new ideas on finding work-at-home jobs that I really, really want to share with you. The true formula for riches . . . Your income divided in this way . . . Follow this formula steadily for 10 years or more and you will become rich. Interesting. And I do recommend reading The Richest Man in Babylon by the way. It's a a very quick read. 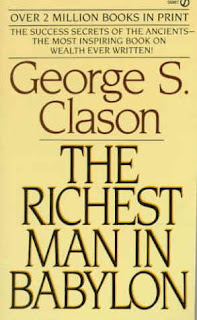 If you read no other personal finance book, read this one. But in this day and age does this concept really hold up? I mean with federal, state, medi-care and social security taxes added in, we are actually living on 65% or less of our income. That’s impossible, right? Well, Steven Venti (of Darthmouth) and David Wise (of Harvard) who has studied wealth accumulation said that people who made saving a priority -- not investing, but saving -- and had a plan to become wealthy (I guess this means an investment plan), became wealthy almost every time. Well damn, I wonder if I can pull of my plan to do this in a much shorter amount of time? Okay, so I pledge that all money that comes in from my efforts with this website -- even if the checks come in cents -- will be divided up in this way . . .
20% of NET INCOME will go to a TAX ACCOUNT (interest bearing account). 60% of NET INCOME will go to living costs. So, let’s pretend that I've earned $1,000 in one month. (Pretend I extracted expenses already). Let's see if simplicity is the answer . . . but, you know my luck. Next month, I'll probably earn $100 and have to bear the laughter and the "are you crazy" looks when I deposit $20 - $10 - $10 into various accounts. But, so what? I’m going to do it and in 20 years I better be rich! So, getting back to our example, is Mr. $60-an-hour guy rich? Well, if you only look at his income, then no. Because if anything happened to his job (downsizing, bankruptcy, firing, etc.) or if anything happened to him (accident, health, etc.) he would not be able to sustain himself. In fact, he would have to quickly take whatever job comes his way because he OWES $200. And after 28 days he owes interest on that $200 and whatever late fees tacked on for not paying the minimum in a timely manner. But, if Mr. $60-an-hour guy sold all his stuff . . . you see, his "things" have some worth. Much more worth than the $60-a-day guy. When we are talking exclusively about sustaining ourselves with "income," then man who receives $60.00 a day is worth more . . . he’s richer. He owes no one money and if he lost his job he could at least live for a couple of days before needing to find a job. But, if Mr. $60-a-day has no "stuff" that is of value to sell, he's not in a very "wealthy" position now is he? Perhaps we should rethink "the measure of wealth" that we hold dear in America. An interesting look into this concept is a series of articles by Punny Money that outlines everything a person should consider when working on "wealth." They are long reads (for blog posts anyway), but they are excellent articles that will get you on the "wealth track." The secret to becoming rich. Don’t spend all your money. Stop for a moment. Ruminate on that. A man who earns $60.00 in a day, spends $55 on necessities (shelter, food, water) and keeps $5.00 for emergencies. After a month (20 working days) $60-a-day-man has $100.00. Another man makes $480.00 a day ($60 an hour). In one month - 20 working days - he earns $9,600. But $60-an-hour guy spends $9800 a month on his shelter, food, water and other things he deems necessary. Each month he’s deficit $200. But no worries, $60-an-hour guy uses his handy credit card to offset that pesky amount. After all, he makes $9,600 a month, he can pay off that $200 charge anytime. Right? Which man is worth more? Which man is richer? The man making $480 a day? Well, he's living rich but he's not really rich. Being rich means being able to sustain yourself for a certain amount of time without working. So, the "term" rich is really just a measuring tool -- a measuring tool involving time. So, technically, you can be rich for a day, a week, several months, a few years or indefinitely. In America, we think of "rich" as being able to live indefinitely, in comfort (whatever that really means), without the requirement of a "job." This is an interesting concept because I know a few people that could live quite comfortably with a tent, some camping gear, a good pillow and a sleeping bag. All they require is food and a place to use the bathroom and shower. If you gave them $10,000 they could possibly sustain themselves for a year or more. Are they rich? Not in America's view, but technically because they don't require to "job" to take care of their needs, technically they are rich. Hmmm. Here is Punny Money's outlook on Why Net Worth Is a Poor Measure of Wealth, it is simply fascinating! Two million dollars? Don't make me laugh!